About 1000 AD, the world’s climate got a few degrees warmer. This small climate change caused many other changes. In North America, Tuniit people moved south from the Arctic into Greenland. But then the Inuit wiped them out. The Inuit were probably trading with Vikings from northern Europe, exchanging walrus ivory for iron tools. 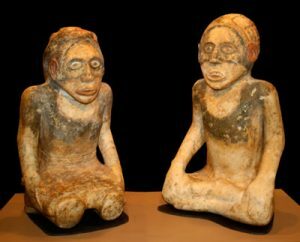 Cherokee statues from Etowah (now northern Georgia), about 1100 AD. Further south in North America, the Iroquois finally adapted corn and squash to be able to grow far enough north, and started farming. Along the Mississippi valley, the Mississippian culture replaced the Hopewell. They built walled towns and earth mounds from Wisconsin to Florida. In Central America, the Maya declined after 900 AD. They built fewer buildings and carved hardly any inscriptions. And in South America, the Moche culture collapsed.But the Zapotec in Mexico continued their civilization. 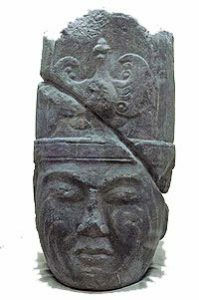 Across the Pacific in China, the T’ang Dynasty collapsed about 800 AD. 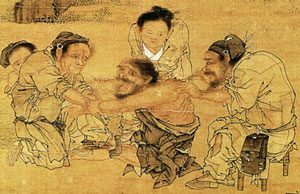 But China stayed more or less unified under the Song Dynasty. The Samanids ruled Central Asia. In India, the Chola kings ruled the south. Rajput kings in the north spent a lot of time fighting off Arab invasions from West Asia. In West Asia and Africa, the Arab empire also collapsed into smaller kingdoms ruled by different dynasties. The Turks took over Baghdad, the old capital. Meanwhile, the Fatimid dynasty took over Egypt. But the Islamic Empire stayed rich enough to send a lot of boys to school. So they kept having more discoveries and inventions. About 850, Arabic scholars invented algebra. About 1000 AD, they made the first glass mirrors. There were small Islamic kingdoms in West Africa, too. And along the East African coast Indian and Arab traders brought the Islamic faith, Indian cotton cloth, and new foods. When Charlemagne died in the 800s, his sons split up his European empire, and soon it fell apart into (roughly) the modern states of France and Germany. The Lombards ruled Italy, and the Slavs ruled Eastern Europe. Just as the warmer climate encouraged some Vikings to sail to Greenland and Nova Scotia, it also encouraged other Vikings to head south and east. Some Vikings settled in Russia, and traded with Iran and Afghanistan along the Silk Road, buying steel to sell in Europe. Some Vikings settled in northern France about 1000 AD, and from there invaded England in 1066 and Sicily a little later. By 1071, Viking men were fighting as mercenaries at the Battle of Manzikert in what is now Turkey. 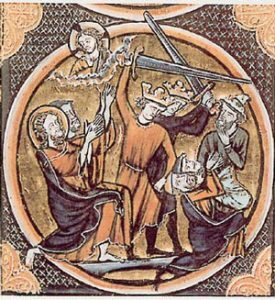 In the name of Christianity, these same Vikings and their friends launched the First Crusade in 1096, where the French, English, and Germans united to try to capture Jerusalem and the Mediterranean coast from the Fatimids. The Christians succeeded in taking Jerusalem, and the Crusaders established a kingdom along the coast. Cite this page: Carr, K.E. 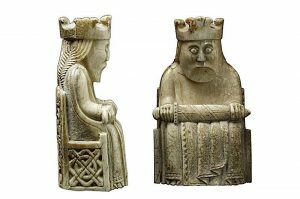 High Middle Ages – 800 AD to 1100 AD. Quatr.us Study Guides, September 10, 2017. Web. April 21, 2019.